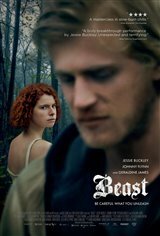 When Mol (Jessie Buckley) leaves her birthday party after a night of dancing with strangers, one of the young men from the party makes unwanted advances on her and refuses to take no for an answer. A handsome young local man named Pascal (Johnny Flynn) comes across them and sends the other man packing. He gently checks Mol over and when he sees that she's hurt, he offers to clean up her wounds. Although hesitant at first, Mol slowly falls in love with Pascal. When the bodies of women are discovered one by one, no one knows who is responsible. Pascal, who lives the quiet life of a loner, becomes a suspect and is eventually accused of the murders. Mol doesn't know what to think. Is Pascal a kind outcast or is he capable of such horrific atrocities?